Some months ago I went to the library to pick up a book. Now you must know I'm not a big reader so I looked for something light. I went to the fantasy section and there I saw a whole series of books with dragons on it. First I thought “hmm I think I'm in the children’s division”, but I wasn't. Tempted by the dragons on the cover I picked up the book and took it home. Later that day I started reading. Now normally I stop reading after one hour and never open the book again but that day I read about 2 hours and when I looked at the time I was literally shocked that it was already midnight. The story is set at the time when Napoleon tried to conquer the world. Now in these stories dragons aren’t kept a secret and everyone knows about their existence. They even fight against Napoleon. 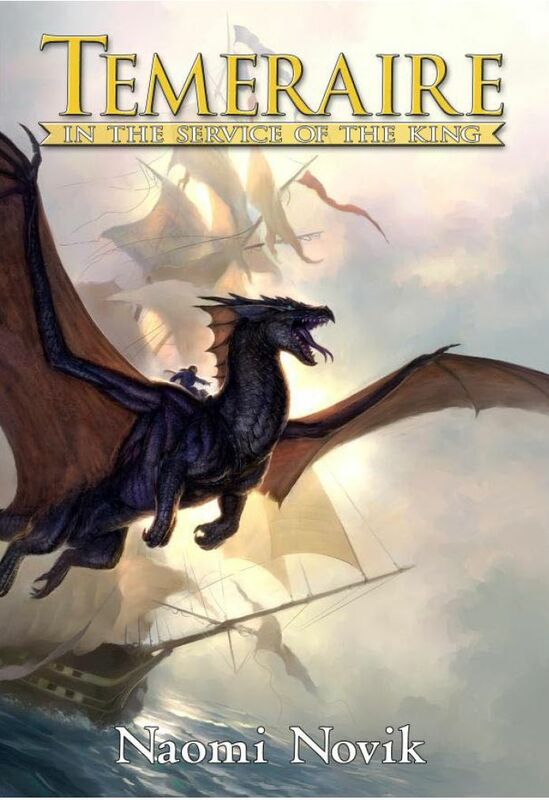 The series is about one dragon in particular: Temeraire. This dragon was born on a navy ship that belonged to Laurence. Together they fight against Napoleon's army and conquer various objects and situations. Today there are 6 books available and a 7th is coming in 2012. The series is pretty popular and there are even fan sites. Some people think that this series will be filmed and become a successor of the Harry Potter franchise. In short: When you are tired of reading the Harry Potter books and you want to read something different but still set in a fantasy world then I recommend to pick up these books. But not only Harry Potter fans can read this because the world is a mixture of real history and the participation of dragons.